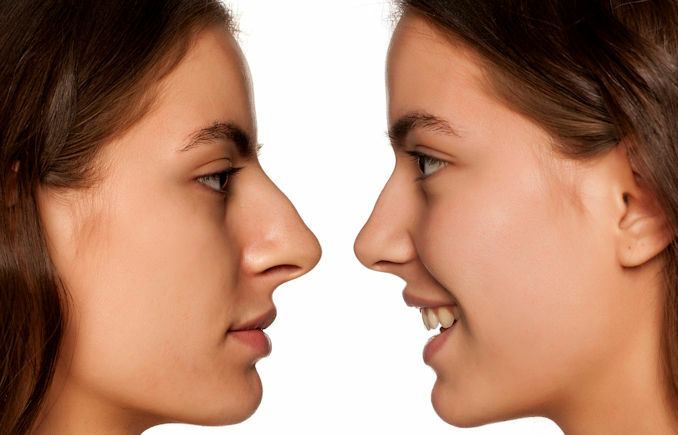 HomeNon-surgicalIs Rhinoplasty or a Non-Surgical Nose Job with Bellafill Best for You? If you’re not satisfied with your nose, you now have options that can improve your look permanently with some downtime or quickly with no downtime. I find considerable interest in surgical rhinoplasty in Inland Empire, CA where I practice. But a growing number of people are trying a new option – a nonsurgical nose job – everywhere from Inland Empire to Atlanta, Los Angeles to Boston, San Francisco to Jacksonville, New York to Miami, Chicago to Houston. Bellafill, an exciting new 5-year filler, could turn a liquid nose job from a temporary fix to a longer-term improvement. Editor’s Note: Dr. Brian Machida is a highly skilled and experienced facial plastic surgeon who practices in Ontario, CA east of Los Angeles, California. He taught facial plastic surgery for years at the University of Southern California’s Keck School of Medicine. Dr. Machida, who is board certified in facial plastic surgery and otolaryngology (ear, nose and throat) has performed thousands of facial rejuvenation procedures in his career. When is surgical rhinoplasty your best option? 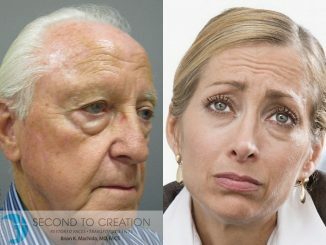 The term “rhinoplasty” comes from the German word “rhinoplastik.” This literally means “changing the shape of the nose.” And if you truly need to change your nose’s shape by making a large nose smaller, correcting a severely hooked nose or straightening a crooked nose, there is no real substitute for a surgical rhinoplasty. Additionally, if the shape of your nose interferes with your breathing, surgery is your only option. A surgical rhinoplasty is a permanent solution. Once it’s done, you’ll probably never have to worry about it again. 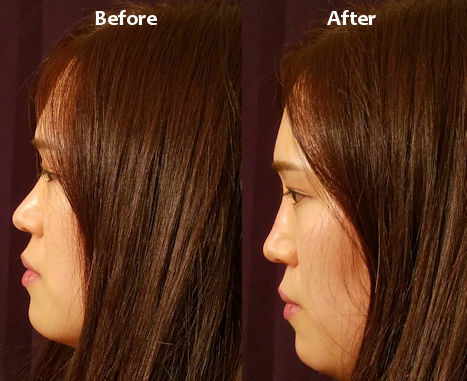 While some patients require revision rhinoplasty surgery to correct a problem, most are satisfied with their results. You shouldn’t have any nose job until your nose has grown to adult size. Many are surprised at just how many less-than-perfect noses can be substantially improved by liquid rhinoplasty, the non-surgical nose job. For instance, someone with a large nose with a hump may not realize that injecting fillers to build up the area next to the hump will often do more than straighten their profile. It will actually make their nose look smaller. The key is often not making your nose smaller, but making it more symmetrical. For example, some African Americans and others are dissatisfied with noses that seem too wide. Building up the bridge of the nose makes it appear smaller. It often fits better with the rest of their face. If your nose has a relatively small bump or asymmetry, you can choose either a traditional rhinoplasty or a non-surgical nose job. Advantages of surgical rhinoplasty include its permanence and cost. While surgery costs more initially, the fact that you won’t need to repeat the procedure will save you money in the long run. The disadvantages include the risks inherent in even very safe surgeries and surgical rhinoplasty’s significant downtime. You will have noticeable swelling and bruising for 2-3 days. During that time, breathing through your nose may be more difficult. Swelling will remain noticeable for two weeks. Your nose will remain sensitive for up to 6 months. 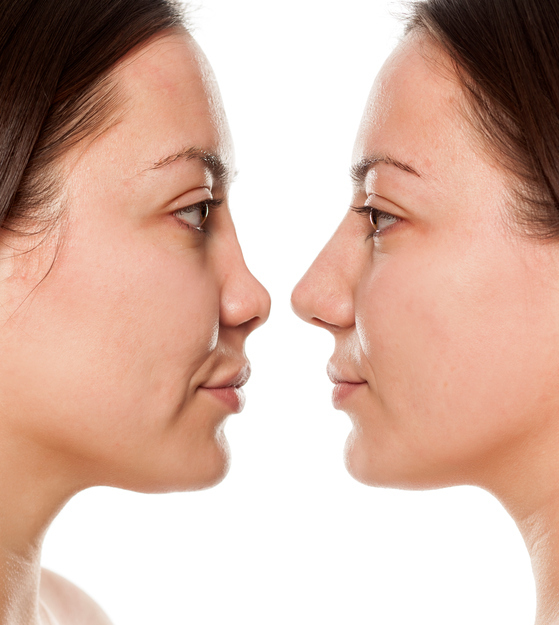 Liquid rhinoplasty, a non-surgical nose job, offers the advantage of virtually no downtime. You can have it done on your lunch hour and go back to work the same day. The non-surgical nose job can cost half as much as surgical rhinoplasty. 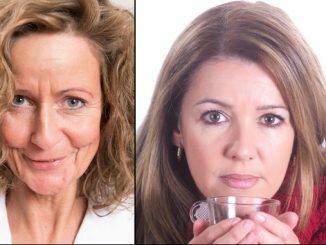 Of course, if you use standard hyaluronic acid fillers you’ll have to have it done again every year or so. While the initial outlay is less, in the end it can cost more. Bellafill has been proven in clinical trials to last 5 years – or even longer. So, while liquid rhinoplasty with Bellafill costs 50% to 80% more initially than conventional fillers, it lasts some 250% longer. That can give you the best of both worlds – a long-lasting, better-looking nose with little or no downtime. One of the reasons Bellafill lasts so long is that it stimulates production of your own collagen. This is great if you like the results. If you don’t, it’s impossible to dissolve Bellafill the way you can hyaluronic acid fillers like Juvéderm and Restylane. It’s best, then, to have the Bellafill non-surgical nose job in stages. Initially I’ll inject about 80% of the amount you need and schedule you to come back to fine-tune the results over two more sessions. First, though, we’ll perform a skin test to make sure you’re a good candidate. If you have severe allergies or hypersensitivity to the bovine collagen or lidocaine in Bellafill, or if you tend to form thick or excessive scars, it would be best to use another filler or have surgical rhinoplasty. 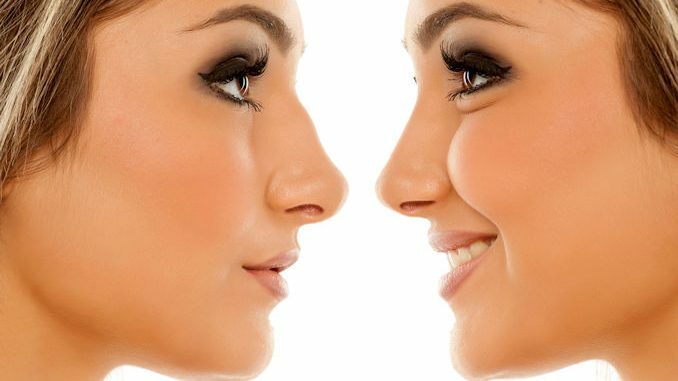 Is surgical rhinoplasty or a non-surgical nose job better for you? If you’re young, have good quality skin and need to build up your nose or correct a smaller hump or other irregularity, liquid rhinoplasty is a good option. That’s especially true if circumstances won’t permit the required downtime. If you want a permanent solution, or truly need to reduce the size of your nose, a surgical rhinoplasty may be your best solution. In either event, you’ll want to consult an experienced facial plastic or plastic surgeon. This is not a place to save money using a less trained or experienced provider – everyone will see the result. 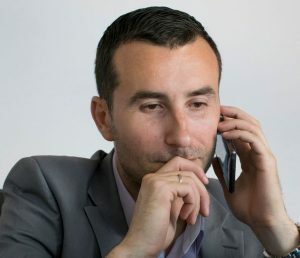 Unless a surgeon has an exceptional record of success with rhinoplasty or the non-surgical nose job, you’re usually best to choose a doctor who’s board-certified as a facial plastic, plastic or head and neck surgeon. If you’re looking for a board certified facial plastic surgeon in Inland Empire, California you can find me at STC Plastic Surgery in Ontario, CA. Surgically or non-surgically, it will be a pleasure to work together to improve your profile.